Our giant gig at the Bloomsbury Theatre is tomorrow, and it’s incredibly exciting. 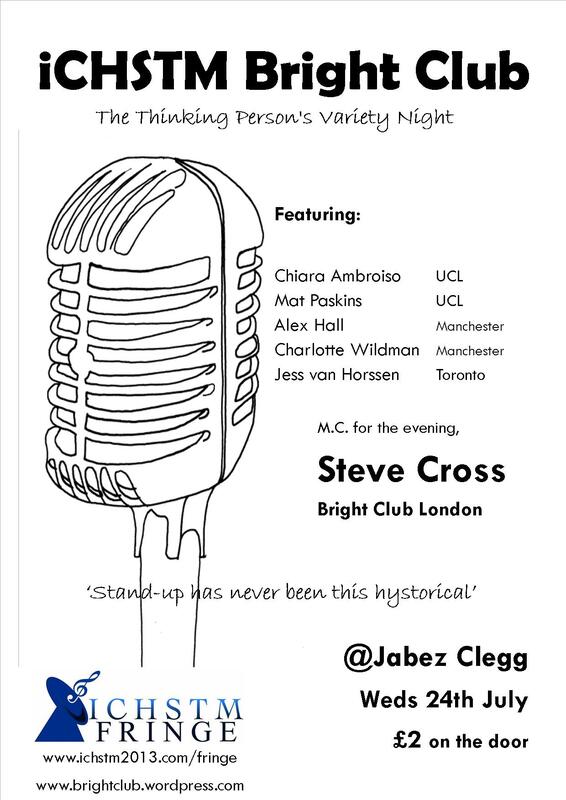 See you there for a night of insight, intelligence, but mainly laughing till your face hurts. Since the University people are in the Bloomsbury Theatre this month, it’s time for a special gig looking outside academia for funny stories and amazing knowledge. This month Bright Club welcomes performers from the world of drama. Actors, writers, directors and techs will become stand-up comedians for one night to share the strange working world they wander through. Leila Al-Jeboury, actor and corporate training starAnd more too! Doors for the gig are 7.30pm, at the Wilmington Arms, Rosebery Ave, Clerkenwell, EC1R 4RL. The gig goes on to about 10.30. Come and find out who secretly hates who behind the scenes and the camera!